The view was perfect, also the appartment was excelent! A big apartment equipped with all you need, including the kitchen. A house with history, amazing surroundings, very clean, a pleasant host ready to answer to all your request, a generous living room, dining area, two bathrooms, perfect for a family with children. Everything, from the apartment itself, its views and the hostess which is very kind! Sehr gute Lage. Schöne Unterkunft. Kurzer Weg zu den Skiliften. Ideal mit Kindern. L'hôtesse de maison prenait commande des pains pour les apporter le matin au petit déjeuner. Le choix rivalisait avec une boulangerie. Equipement de cuisine complet. Idem pour la salle de bains. Le local à ski qui chauffe les bottines... Circuit de "langlauf" qui passe devant la propriété. Arrêt de bus à 100 m, à côté les départs à ski de "Altenmarkt". La gentilezza della Sig.ra Gisela, la pulizia dell'appartamento, la cucina dotata di tutti gli accessori, la tranquillità e la bellezza del posto. Sehr nette Gastgeber. Gute Lage in Nähe des Skilifts und Skibushaltestelle. 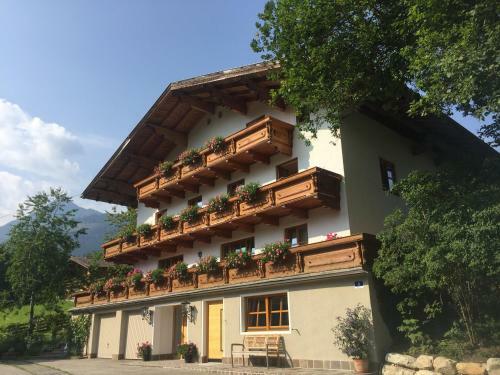 Lock in a great price for Eisenhof apartments – rated 9.4 by recent guests! 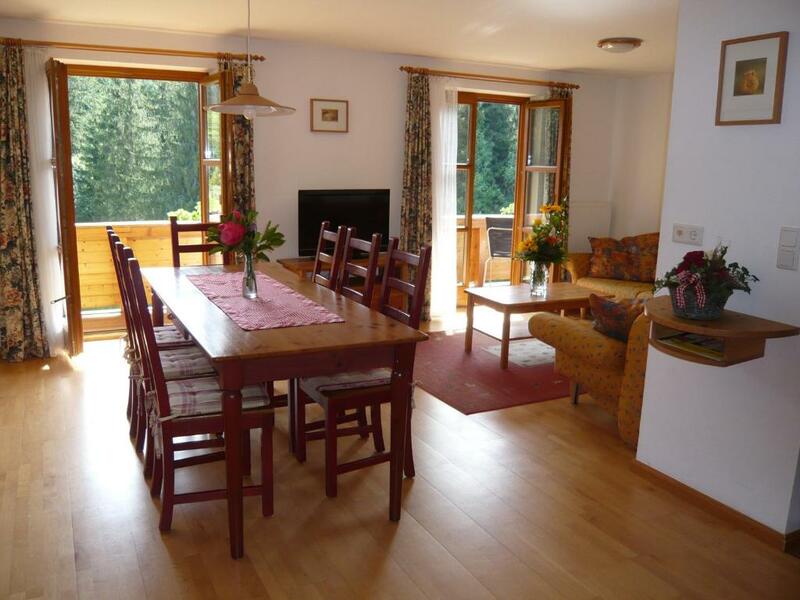 Set in Altenmarkt im Pongau, Eisenhof apartments offers a garden and barbecue. DSL Hochbifang is 650 feet from the property. Free WiFi is available throughout the property. The accommodations is fitted with a flat-screen TV. Some units have a dining area and/or balcony. There is also a kitchenette, equipped with a dishwasher, oven and microwave. A toaster is also provided, as well as a coffee machine and a kettle. Free private parking is also available on site. Towels are featured. 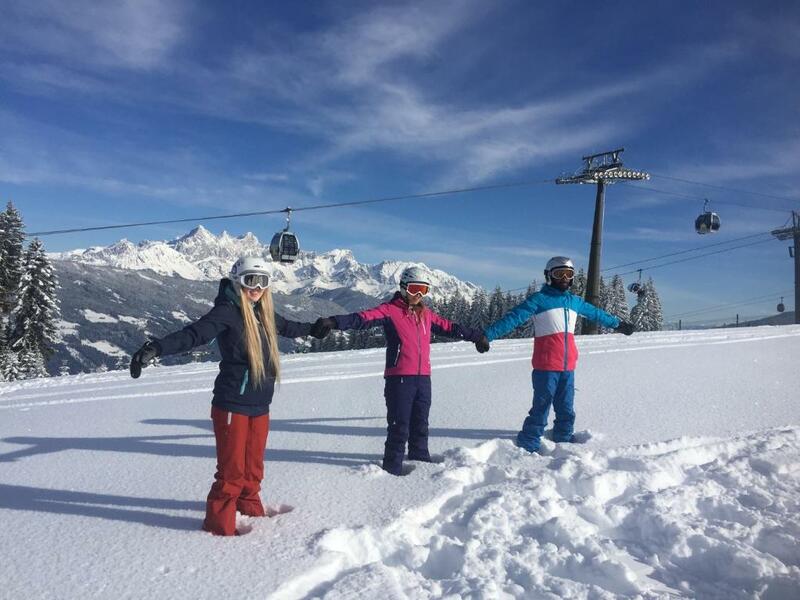 During winter the ski area Radstadt-Altenmarkt is only 650 feet from the property, where guests find a ski school, restaurants, a toboggan run and a free ski bus stop to the ski area Zauchensee-Flachauwinkl. The Tauern cross-country ski track is in front of the house. Guests can enjoy various activities in the surroundings, including skiing and hiking. 4er-SB Hochbifang is 0.8 mi from Eisenhof apartments. The property offers a free shuttle service. This property is also rated for the best value in Altenmarkt im Pongau! Guests are getting more for their money when compared to other properties in this city. When would you like to stay at Eisenhof apartments? This apartment features 2 bedrooms, a bathroom with shower, separate toilet, a fully equipped kitchen with fridge, oven, microwave, electric kettle and toaster, a dining area, flat-screen TV, free WiFi and a balcony. Our house offers spacious apartments in a quiet location amidst forests and fields and is an ideal base for your holiday activities. Here you'll feel at home in our comfortable apartments with 2 separate bedrooms, bathroom and extra toilet, fully fitted kitchen, dining area and lounge room with sofas, digital flat-TV, free WIFI and balcony. You are welcome to enjoy the garden, BBQ area, trampoline, basket ball and table tennis. In WINTER you'll find the family-friendly Radstadt-Altenmarkt ski area directly at our doorstep where there is also a ski school, restaurants, après-ski, a great toboggan run and the free ski bus to the sporty ski area of Zauchensee-Flachauwinkl. 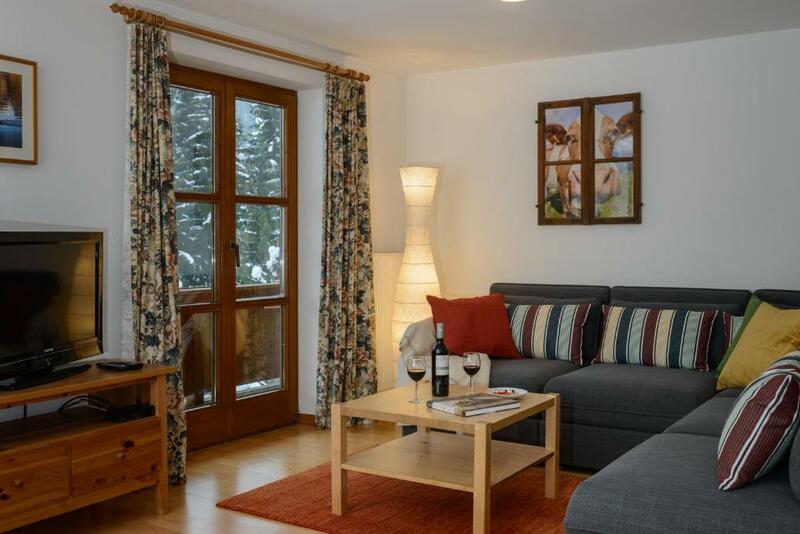 Families appreciate the location as they can come home to the apartment for a rest and some lunch before heading out again for an afternoon ski. The Tauern cross-country ski track goes straight past the house as well as the winter hiking trail and of course you can go for snow shoe hikes. In SUMMER there are many options for hiking or biking at our doorstep. Here you'll find a paradise for families and nature lovers. Our house was built as a B&B by my grandparents and has been transformed over the years by my Australian husband and myself into apartments. We have three wonderful daughters. As nature afficionados we love the mountains and the opportunities we find here all year round. I have worked as a ski instructor in my father's ski school for years and know where the best runs are in the area. I'm happy to come along with my guests and show them. For the past years my husband and I have been going on ski tours and enjoy the peace and quiet in nature. In SUMMER we love to go hiking with our dog Sammy. I'm a certified hiking guide and love to show my guests my favourite spots and explain the alpine fauna and flora. Altenmarkt-Zauchensee is a friendly town which offers many sporting opportunities. The two ski areas of Radstadt-Altenmarkt and Zauchensee are in the heart of Ski amadé and in summer Altenmarkt is the ideal starting point for many activities and attractions. The lifts open in Zauchensee already at the end of November right into mid April. There are many other fun activities in the snow like cross-country skiing, tobogganing, horse-drawn sleigh rides, snow-shoeing, snowman building and so much more. In summer Altenmarkt is in the middle of many attractions. Salzburg is an easy 45 minute drive on the A10 motorway as well as many sights the area like the Ice Caves, Hohenwerfen Fortress, Salt Mines and so much more. We recommend you'll get the SalzburgerLand Card which offers free entry to many interesting attractions, pools, lifts etc. Mountain bikers and cyclists as well as E-bikers find many beautiful tours. If you play golf, the next golf course is only 5km away in Radstadt. The more adventurous can try out rafting, canyoning or climbing. A high-rope course is only a 10min walk away. There are so many options that you'll never get bored during your holiday here! House Rules Eisenhof apartments takes special requests – add in the next step! Please inform Eisenhof apartments of your expected arrival time in advance. You can use the Special Requests box when booking, or contact the property directly using the contact details in your confirmation.